What started as a passion for cars, turned into a complete career path for Daniel Lim. From buying his first MX-5 Miata in January of 2001, to working as a service technician at a Mazda dealership, to working at Mazda’s Research and Development Center, Lim credits his car obsession to his father. After purchasing the MX-5, he became a regular on Miata.net. After some time, a small group of local LA Miata.net members began meeting up and scheduling their own rides and outings. The group, known now as KINOD (Krispy Kreme - In and Out - Drive), had their first meeting and hit it off. After a couple years, Lim was given the opportunity to join the Mazda Technical Hotline. As with his lifelong love of cars, dedication to service is a family tradition. His dedication to serving the Miata community extends beyond his role as a Mazda employee. Overall, Lim feels a great sense of pride being able to work at Mazda while still connecting with the community at the grassroots level. Over the years, the MX-5 community he’s built up has become a huge part of his life. In fact, Lim even proposed to his wife in his MX-5 at a KINOD event on their shared birthday, Feb. 10. “We got out of the car, and our KINOD buddies gathered and started singing Happy Birthday,” Lim explained. 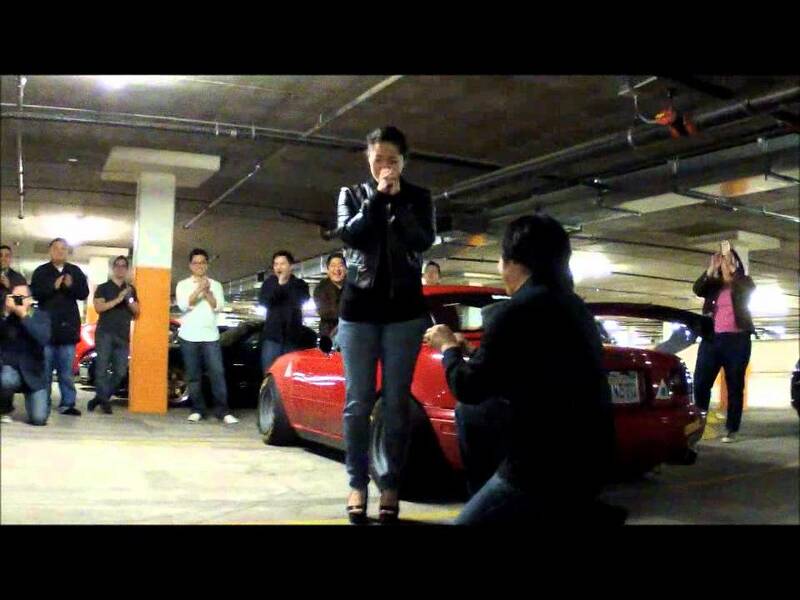 “Then, while she was looking away, I pulled out the ring that I had concealed inside a miniature MX-5. I got down on my knee, and she turned around and saw me. While she was facing me, all her family came out. Everyone was around to witness that. That was a very special moment."